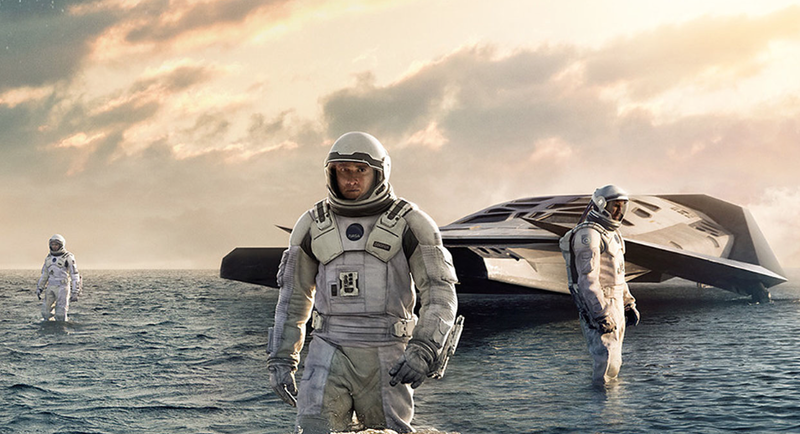 Detail: from poster for Christopher Nolan's 2014 film, "Interstellar"
But Harvey Wichman (pictured below), who retired from CMC’s Psychology Department in 2000, has long been contributing to our understanding and experience of space travel as it might be actually experienced—not as Hollywood depicts it. For his many efforts, especially as part of a team that developed the ground-breaking McDonnell Douglas DC-X rocket (also known as the “Delta Clipper), Wichman was recently honored with induction into the International Space Hall of Fame. For a complete list of DC-X inductees, which includes Wichman's designation as one of the group's "trailblazers," click here to see the list. Located in Alamogordo, New Mexico, at the National Space History Museum, the Space Hall of Fame recognizes the contributions of astronauts, physicists, engineers, and many other individuals whose work has advanced our understanding of space exploration and humanity’s next step. The DC-X project marked a revolution in rocket design during the 1980s and early 1990s—the rocket’s vertical takeoff and landing ability promised the kind of quick turnaround and reusability that, until then, had been an element of rocket design only in science fiction books and movies. Wichman founded and directed the College’s Aerospace Psychology Laboratory and taught in CMC’s innovative Practicum Program. The Practicum Program allowed a professor and a group of students to take on a project for an outside client, which led to Wichman's involvement with the McDonnell Douglas Space Facility (now Boeing) that was located in Huntington Beach, California. His work with students enabled the group to have access to the factory as well as offices in the plant. Later, when the rocket was transferred to NASA and renamed the NASA DC-XA, the team in the aerospace lab would periodically fly to Houston, Texas, to interact with NASA engineers and astronauts. Even though the DC-X achieved several successful test flights in the early 1990s, the program was eventually discontinued over budget and funding disputes. Some engineers deplored the program's end because they believed it offered an ideal solution to designing a Mars lander vehicle. Successful test flight of the DC-X Delta Clipper. The National Space Museum is building a life-size replica of the DC-X/XA, which will stand in front of the museum's entrance. The engineering models, built by the CMC students, under the supervision of Wichman, will be displayed in the museum’s display on "The History of the Development of the DC-X/XA Rocket." Wichman is the author of many books, including Human Factors in the Design of Spacecraft, and essays (an essay on simulator research is included in the 2009 anthology Psychology of Space Exploration). Wichman joined CMC in 1973 from California State University at San Bernadino, where he was a member of the founding faculty and chairman of the Psychology Department. Wichman currently lives with his wife Ann and dog Meadchen, in Dana Point, California.